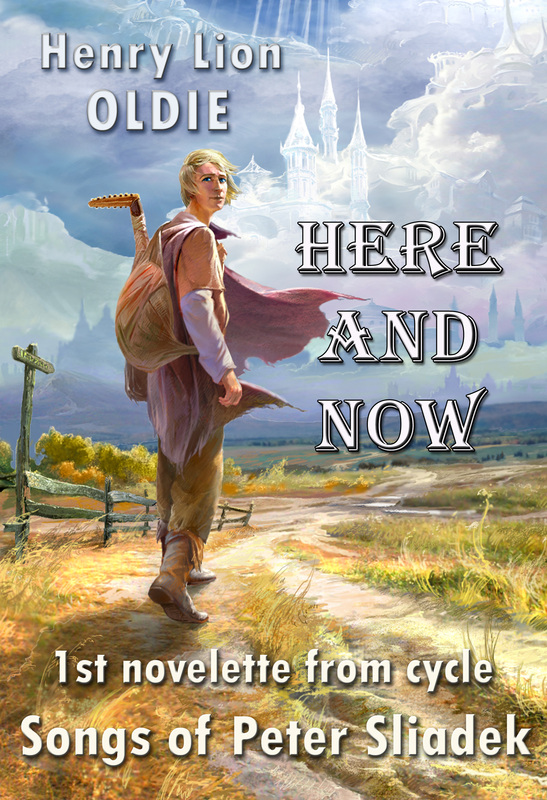 "Here and Now", the 1st novelette from novel-cycle “The Songs of Peter Sliadek” by Henry Lion Oldie is now available on Amazon and Smashwords! Historical adventure and poetic fantasy; Medieval Europe. 17950 words, $0,99 only! Siegfried von Maintz attacks the lands of Opole with his army. Swords and spears are unable to stop the cruel margrave. But there is Martzin, the apprentice of a powerful wizard. Martzin has a magic set of chessmen; with their help, one can return to the past and change it. HERE AND NOW is the 1st novelette from the book “The Songs of Peter Sliadek” by Henry Lion Oldie. The entire novel consists of 12 novelettes. The book received the "Sigma-F" Grand Prize at "Sigma-F Conference" in Moscow, Russia, in 2005. 8 hard cover editions are in Russian! Now for the first time in English! The 2nd novelette from “The Songs of Peter Sliadek” is coming soon!